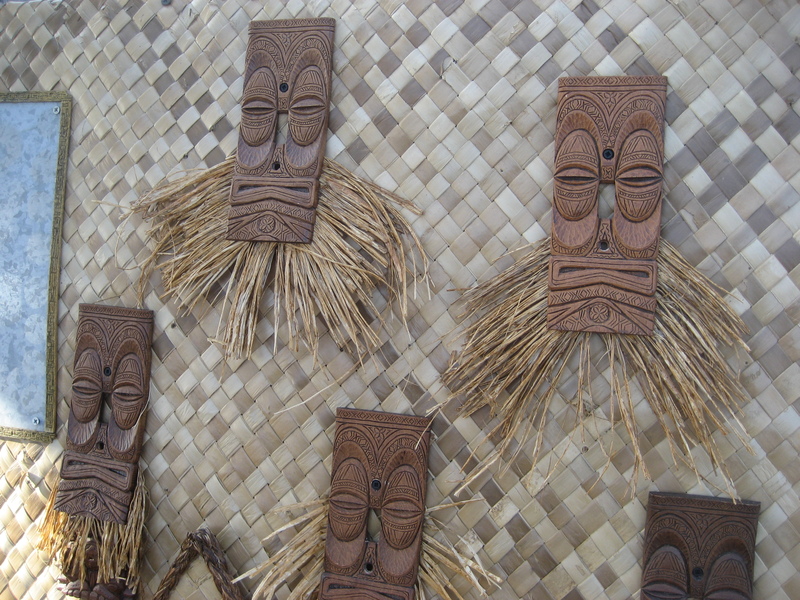 I’m currently decking out our guest room tiki-style, so I convinced myself that getting one of these rad light switch plates from Crazy Al (whose masterful mugs are seen above) was also a practical move. 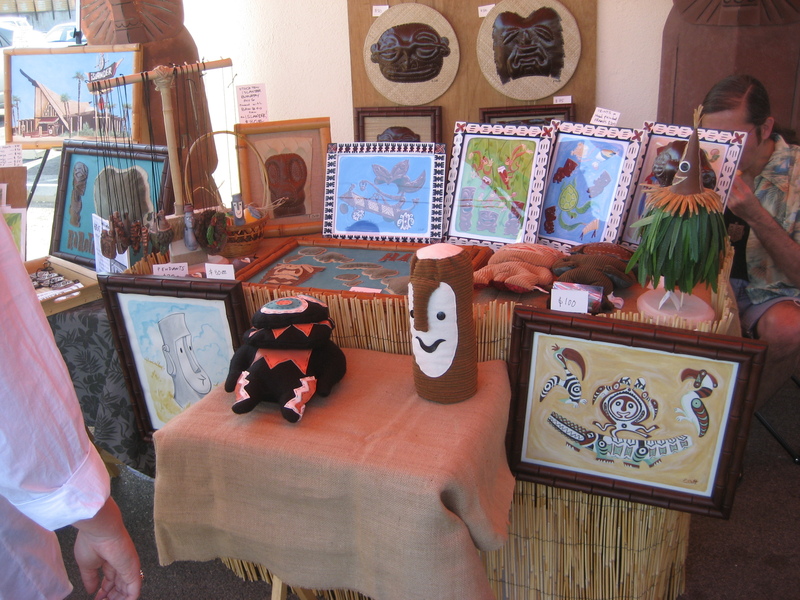 And I knew a cuddly Tiki Bob from Eric October would be just the thing to prop up on the guest bed. He was also distributing some bamboo pieces (from The Islander restaurant in Stockton) that were discovered in a warehouse after 25 years. 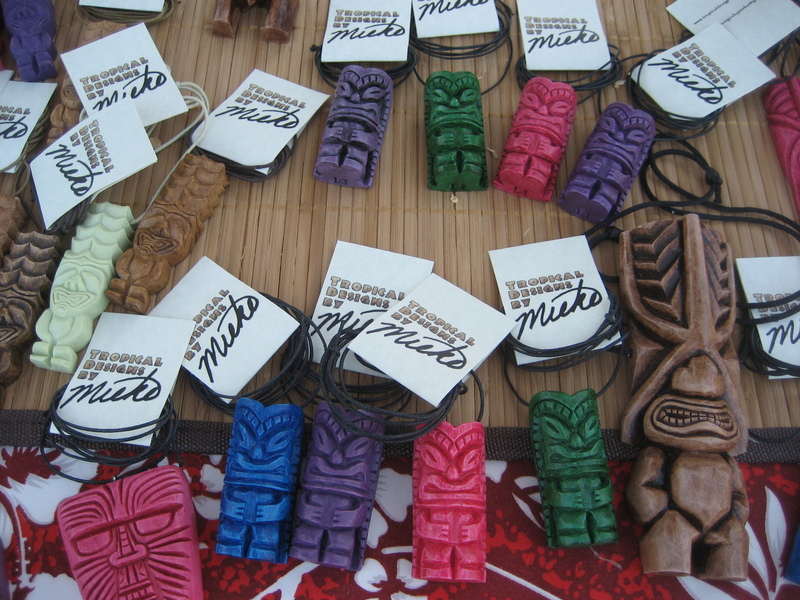 I’d kind of been on the lookout out for a tiki pendant, but I’d never really found any that grabbed me until I saw these brightly colored ones from Tropical Designs by Mieko. This girly girl had a trying time deciding between pink and purple. Atomikitty had some very neat vintage dresses at her booth (including a little blue and green number that sadly was a size or so too small for me) plus some art from her coconut monkey project. 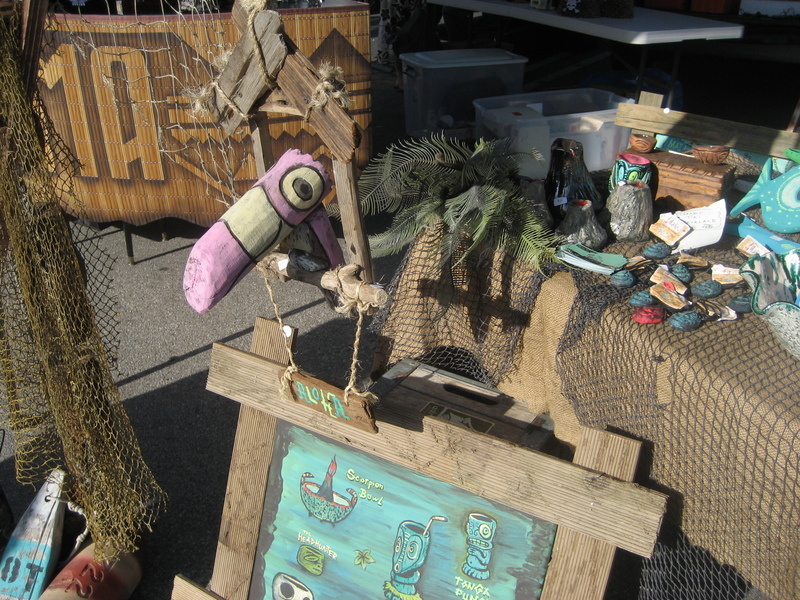 My last purchase of the day was this friendly toucan made from driftwood by Tiki tOny. It already has a perch of honor at our place. 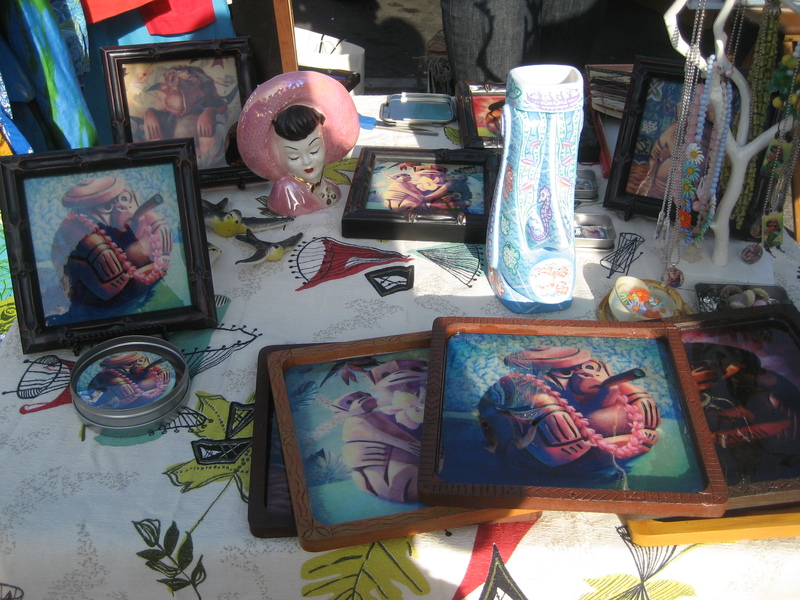 I would have to award Tony with the best vending space—it was all decorated with beachcomber and nautical ephemera. 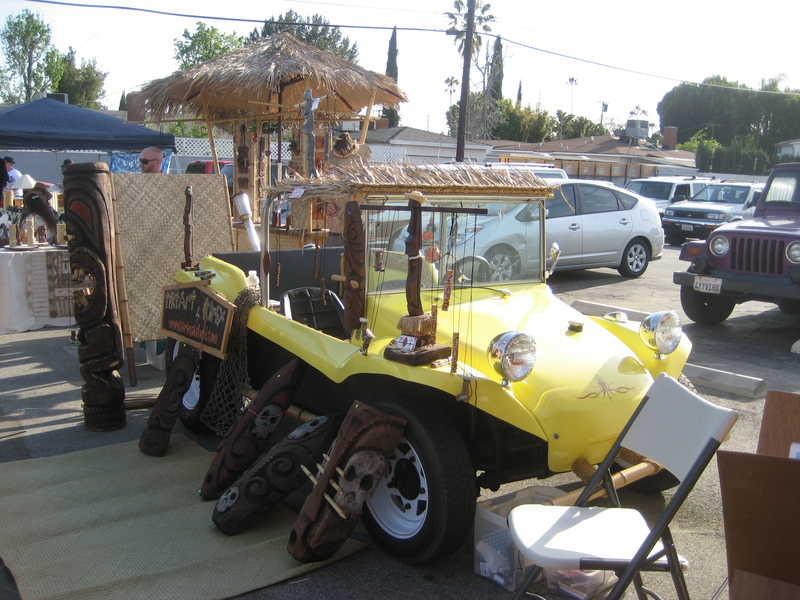 And second prize would have gone to Kirby‘s yellow dune buggy. All in all it was a lovely and productive afternoon! This event was pretty amazing. I also acquired some great stuff. 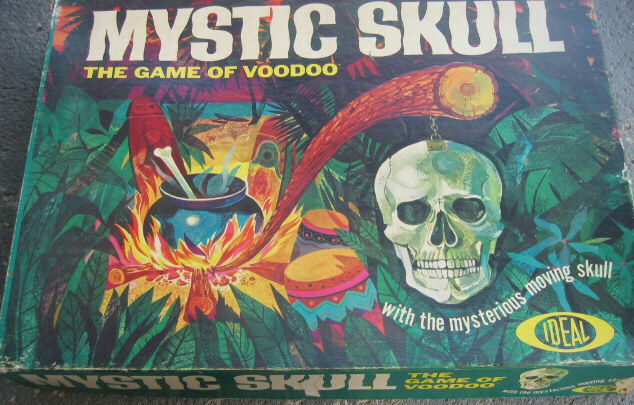 Including the intriguing Mystic Skull game (http://www.timewarptoys.com/mskull.jpg). There were a lot more people there than expected. 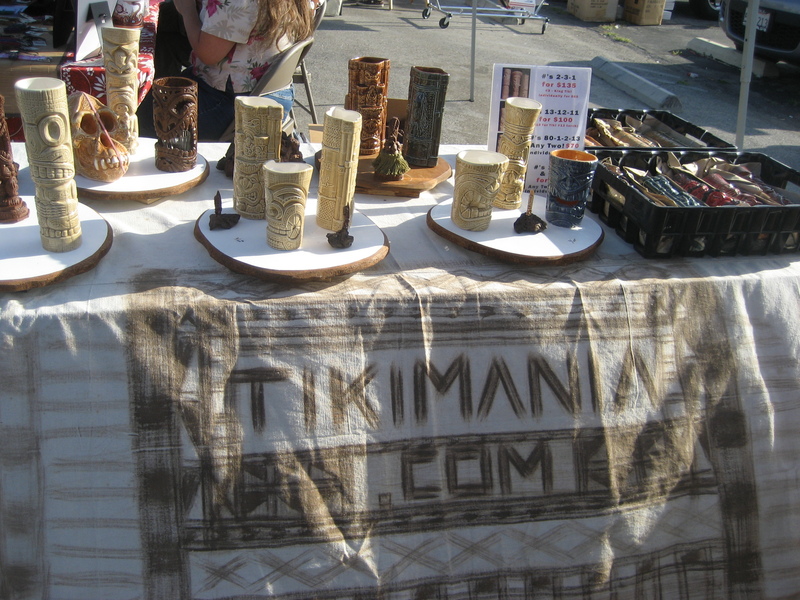 Great to see so many people at a tiki event. 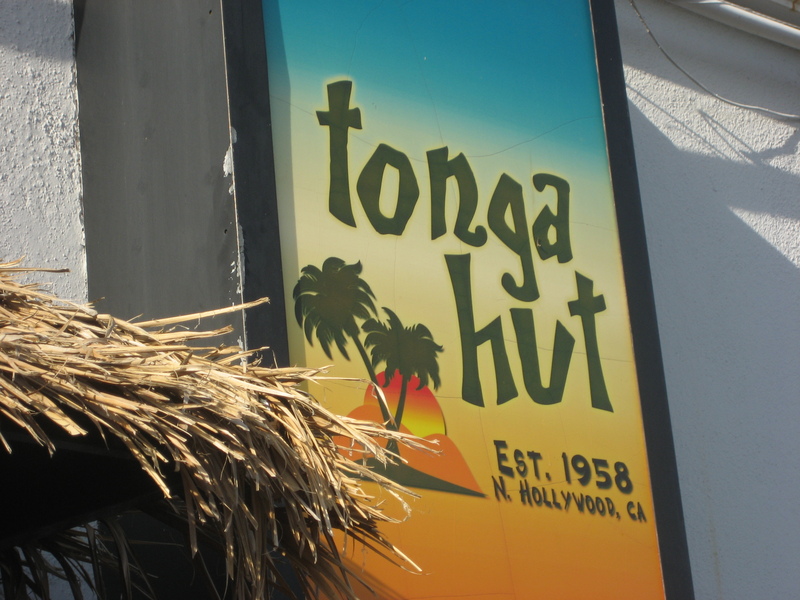 You’re still owed a mai tai! Yeah, it was very cool, wish I could have stayed for the tunes.